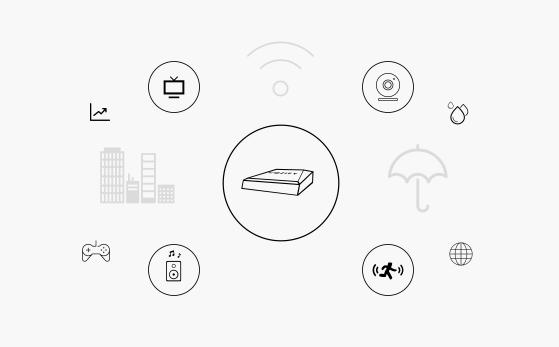 Cozify Blog: What does IoT mean for your consumer business? This is Cozify’s blog, where we ruminate on home automation technologies and practices and share company news. Articles come from our own team as well as other experts in the field. What does IoT mean for your consumer business? Question: To warmup a bit, could you please tell us a bit about your role here in Cozify? Antti: I am responsible for business development, which in practice means working with our channel partners to introduce smart home solutions to their customers. Question: Internet of Things (IoT) has been around some time and the hype around it has been huge. Why IoT is relevant to me? Antti: IoT affects our everyday life already today, even though we don't necessary recognize it. For businesses, IoT is a huge megatrend that is sweeping across industries creating opportunities for increased operational efficiency and data driven business logic. From the consumers point of view, for example TV's, amplifiers, speakers, game consoles are connected to the internet. It starts to be difficult to buy devices that are not somehow connected. The issue is most of them are point solutions that are good in the one thing they are designed for. This results in a clutter of apps in the smartphone and none of them interact with each other, thus wasting a lot potential benefits. Question: What kind of benefits do you mean? Antti: Well, you may already have a wireless multi-room speaker system, such as Sonos. And then you might have a Belkin Wemo motion sensor. Wouldn’t it be nice to make them play together? You would want to turn on the music when you walk into the kitchen at a time when you typically prepare food. Or play a loud dog bark when you are not around and there’s movement on the porch. Obviously just the imagination is the limit once you start exploring the possibilities. Use cases can range from convenience to security to energy efficiency. For example, motion sensors are very handy in many cases: it is possible to automate lights as you move around the house and have the right kind of light based on the time of day/sunrise/sunset/darkness level. Or movement can trigger video recording if nobody is supposed to be at home. Question: I’m interested in saving energy. How can I do it without compromising comfort? Antti: If you have an air-to-air heat pump (like they are called here in Scandinavia) or an air conditioner, you probably don’t want the AC to run when the door has been left open for more than a minute. Or only heat the room or house when somebody is around. When devices are connected, everything happens automatically and best part is, it is remarkably easy to adjust rules and scenes whenever you want. Question: What about data security? Antti: That really is a hot topic and it makes sense to have a bit of patience to look at the implementation. Some systems rely entirely on cloud services, i.e. all the data is transferred to a remote server, which then determines what should be done with it. This could be a bit of a risk if you value your privacy or reliability of the system. I would recommend looking at products that are based on a hub that resides in your home. This way it is possible to make it more secure and much more responsive as it doesn’t rely on your internet connection. To ensure everything is in order from the security point of view, we conduct security audit at least once a year, where third party company completes a full security review of our backend, hub software and mobile application. If issues are found, everything is fixed and audit is done again. This way we can be sure all possible issues are fixed and the security is not compromised. Question: Can service providers benefit from IoT? Antti: Yes, definitely. It is possible to start offering smart home as a service to your consumer customers and complement your current offering. Once your customers get used to the perks of the system, it is unlikely that they want to churn to another service provider. This way you can increase customer stickiness and be relevant in their everyday life. There is strong evidence that this increases your Net Promoter Score. Question: Great! Are there any other benefits? Antti: There are examples where the core business benefits directly from the smart home. Take e.g. the insurers: they can offer their customers an open smart home system that is making their life more comfortable every day while protecting against water leaks, fires and burglaries. The insurer saves on the number and value of claims and can proactively take care of repairs if the damage happens. It is also good to remember the IoT derived data is the potential bonanza for the service providers. With careful analysis, it is possible to segment your customers very specifically and offer only relevant services to them. For the insurance industry, this paves the way towards usage based property insurance products. However, one must be extremely conscious about communicating the benefits the consumer can expect in exchange of submitting data generated in his home to a 3rd party. Naturally, we don't share our users' data in any way without asking permission to do so from our users. And all shared data must be anonymized anyways. Question: Sounds interesting, where can I find out more? Antti: Cozify is a Finnish consumer IoT startup that has developed a full-stack smart home solution. We sell our solution directly to consumers while building our channel partner network internationally. If you’d like to learn more in your consumer role, feel free to explore our website http://en.cozify.fi/. For your business needs, just head to http://en.cozify.fi/pages/for-partners or request a meeting with me (antti@cozify.fi). If you are interested in home automation, follow us, comment and share our blog. You are welcome to read and comment. Cozify © 2016. All rights reserved.